ConceptDraw DIAGRAM is a diagramming software for making audio and video systems connections schematics. The Audio & Video Connectors solution includes sockets and plugs, connectors and devices that you can use to make your diagram of AV connections. 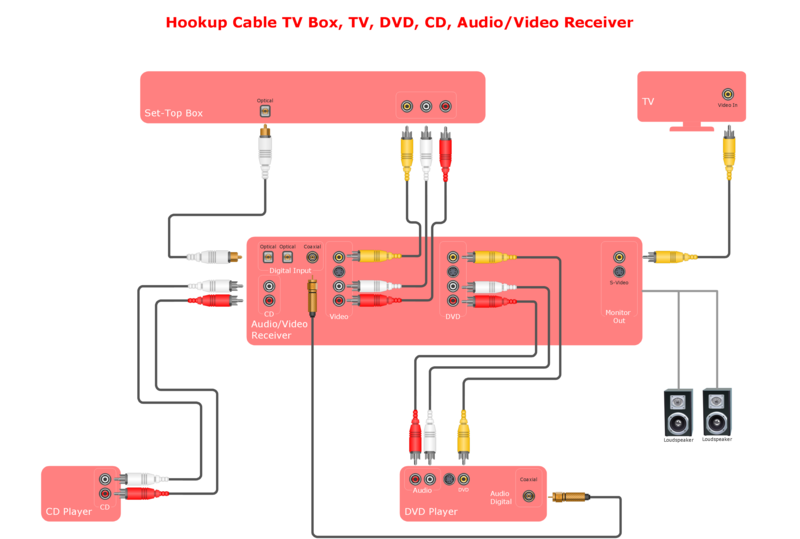 This hookup diagram was created in ConceptDraw DIAGRAM diagramming software using the Audio and Video Connectors solution. Visualize your system connections using ConceptDraw DIAGRAM with the Audio and Video Connectors solution.